Have you ever noticed something missing when you do an online search for a book, music or a film you want to check out? Something big? If you're anything like me you've been lucky enough to spend valuable, serendipitous, formative hours in a library. I remember walking to Cleveland Public Library at least weekly in the few years when I lived there as a child, supplementing the supply of books my father secured from thrift shops. I'm pretty sure that's where I got the introduction to atomic theory (Democritus through Rutherford to Bohr and beyond) which cemented a lifelong fascination with science. There was Luton Public Library where I went almost every day of the summer of 1986 when my Mom bought me my first computer (a ZX Spectrum Plus) and I taught myself programming reading all the books and magazines they had on the topic. There was the library of the University of Nigeria, Nsukka where I gorged on African and worldwide literature, history and esoteric religions and philosophies right around the time when I discovered my love for poetry. There have been many, many other libraries dear to me in all the places where I've lived. And now when I search for a book, multimedia or other such resource, I'm struck by the fact that libraries have become sadly obscure on the Web, which is where my children and their generation discover and learn so much of what I did in the brick institutions. Search for a book and you'll find Amazon, B&N and other bookseller listings, Wikipedia pages, film derivations and fan fiction, but you'll go pages and pages and pages into results before you see any indication that you can stroll into your local public library and borrow it for free. I've been thrilled to be part of a project, led by my company Zepheira, to work towards rectifying this situation. We've launched Libhub, taking sensible steps towards increasing the prominence of libraries on the Web. There are several things that make this a bit more complicated than it should be (and why this visibility problem is so persistent). Libraries have very rich electronic catalogs, but they are in extraordinarily antiquated and arcane formats and conventions. We've invested a great deal of our specialized data processing expertise to develop an engine which can ingest such library data and convert it into useful web representations, including technologies such as RDFa, Open Graph, Schema.org and the library-focused BIBFRAME which we developed for the US Library of Congress. We're planning to launch this Libhub network this summer. 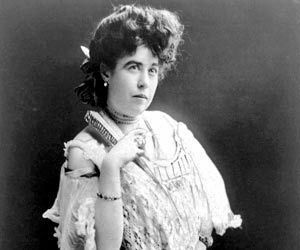 We've been fortunate to have some great libraries working with us through this project, led by Denver Public Library, and we're been inspired by the many-chaptered story of Denver's own Molly Brown, best known for surviving the Titanic disaster. We turned a handful of DPL records into a tiny experiment ("the Linkable Molly Brown" as named by my colleague Gloria Gonzalez) as we continue to work on our Libhub engine. If you're curious for a sneak peek, and OK looking at something still packed with librarian/technical minutiae, a good place to start a click-round is with the record of her papers at DPL. Remember, this is just a quick experiment and we have a long road ahead, but one we're more delighted to travel than Dorothy was hers in Oz, starting out arm-in-arm with the redoubtable Molly Brown, and with fond thoughts of libraries swimming our heads. We'll see you along the way.